Wow, can you believe it’s November already?! 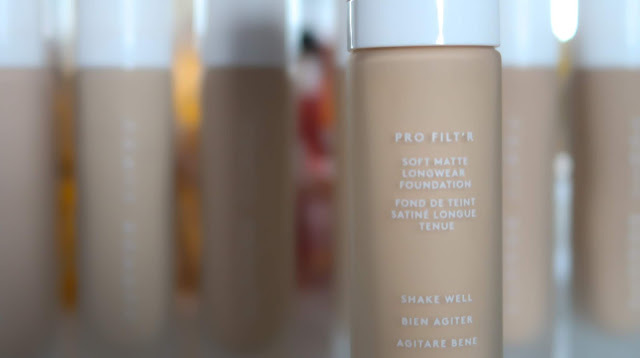 After my Halloweek makeup blogs, I took a short break from blogging; But I’m back today with a review of the Fenty Pro Filt’r Foundation, since we all love a good old review! 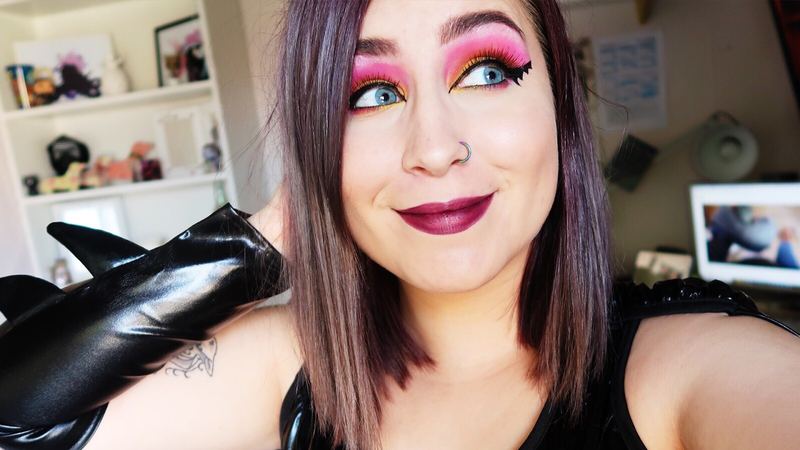 Fenty is a brand created by Rihanna, and it’s aimed for all skin types and tones as she felt not all women were included for other makeup brands. Because of this, the range of shades for the Fenty Pro Filt’r Foundation is astounding. There are a whopping 40 shades from very fair to much darker tones that other brands simply don’t offer. I’ve been trialling this foundation for a little over a month, and no word of a lie, I loved it so much I even decided to add it to my professional makeup kit for weddings. 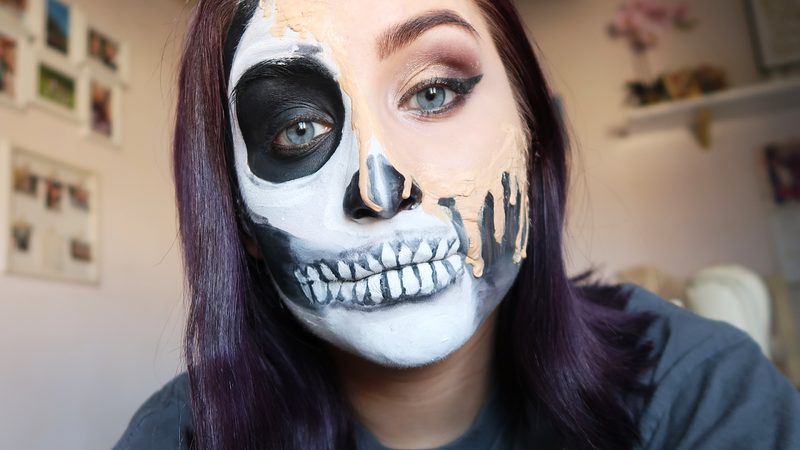 This foundation is amazing. I tend to use the shade 160 but can also get away with 140, or even 180 if I have a little fake tan on. I’m usually one of the lightest shades in most other foundations but there are 6 shades lighter than what I am, and that is just brilliant. I find it applies better with a damp makeup sponge (I use Real Techniques), and what I like the most is the finish. 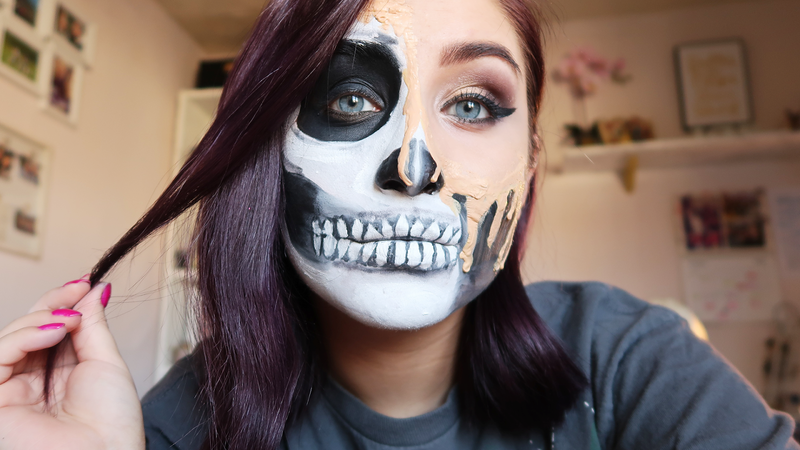 It blends very nicely and is a good medium coverage. 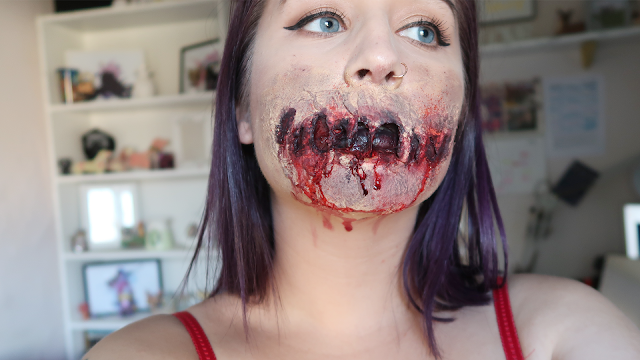 It’s also buildable, so when I want a heavier, more full coverage look, I can add a second layer if I want to. 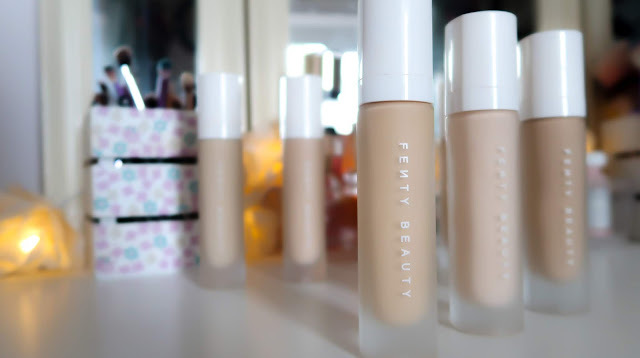 Fenty claim the foundation is a demi-matte, but I personally find it a bit dewier that a demi-matte, but not completely. I find it a little hard to explain! I have quite oily skin, so it’s certainly not matte, but I quite like it. It makes it look and feel more natural and breathable. I’ve also used it on different skin types for work now, and it seems to suit both oily skin and dry skin. 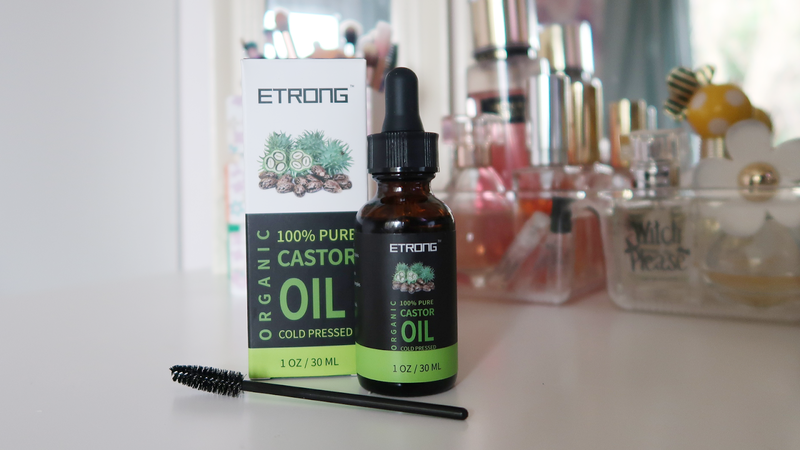 I wouldn’t recommend it if you have severe dry skin conditions, like Eczema or very flaky skin as it may cling… but for regular dry skin, it still worked really well. It’s long lasting, and I’ve found it’s lasted on my oily skin for a good 10-15 hours. Which is perfect if you’re going out for the day or attending occasions and events. 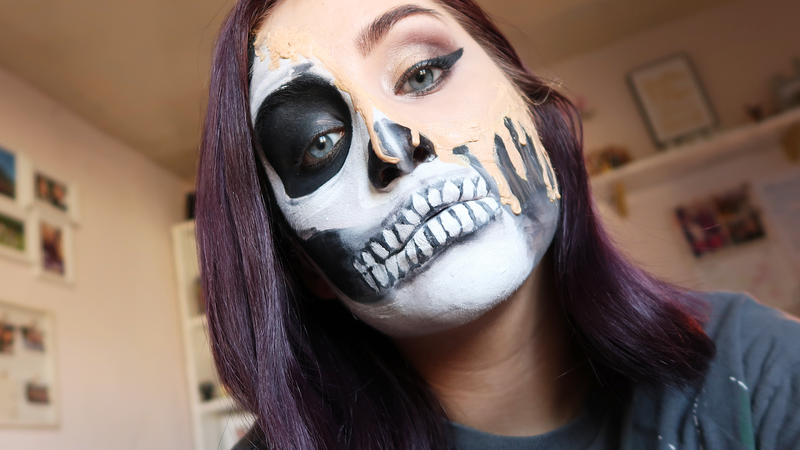 It doesn't separate, or accentuate my pores like other foundations have done in the past. The foundation costs £26 in the UK and I’ve found the best place to buy it is from Harvey’s online. The downside is that it’s harder to get a hold of in the UK, which means you can’t pop to your local department store to have the colour matched. If you’re deciding between 2 different colours, I’d recommend going for the lighter one as it does slightly oxidise after application. It’s slightly cheaper than other high-end foundations, and for the price, I’d certainly say it’s worth it. I’ve really enjoyed using it, and this post isn’t sponsored (I wish! ), I just genuinely loved this foundation. 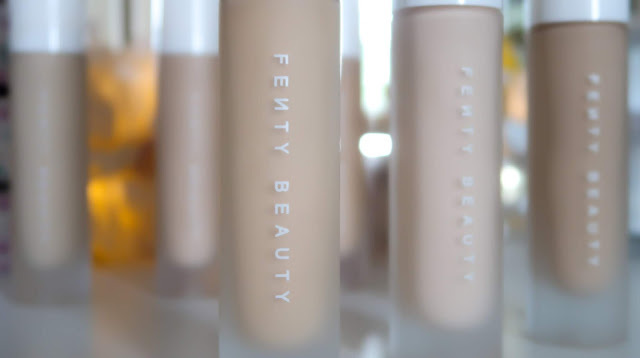 To top it all off, if you didn’t think it could get any better, Fenty’s foundation is cruelty-free and vegan-friendly. I mean, how can a foundation be this perfect. I’m so glad I tried it, I’ll probably be using it for a very long time now! Is it just me, or it this year just flying by? I'm worried if I blink, I'll open my eyes and I'll be a Grandma! September was a busy month for me, but I still enjoyed quite a few beauty products as well as YouTube and Netflix! 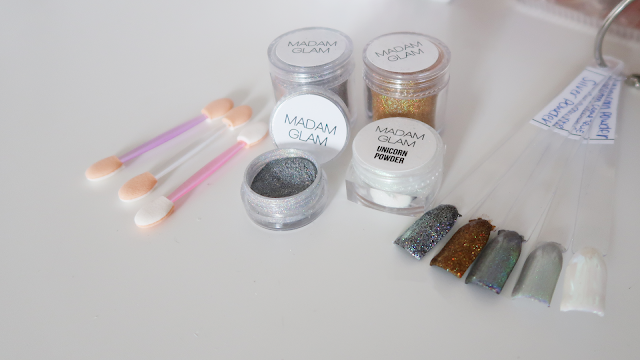 My first favourite this month is the Madam Glam Nail Powders. Nail powders are a brilliant way to amp up your gel nails and make them look stunning. Madam Glam is also a brand that is cruelty-free, vegan-friendly and 5-free; meaning they're free from formaldehyde, dibutyl phthalate, toluene, formaldehyde resin and camphor... so they're non-toxic! I know that seems like a mouthful, but being a beautician; finding a salon-quality gel nail brand is hard to come by, so I'm super pleased I found them! 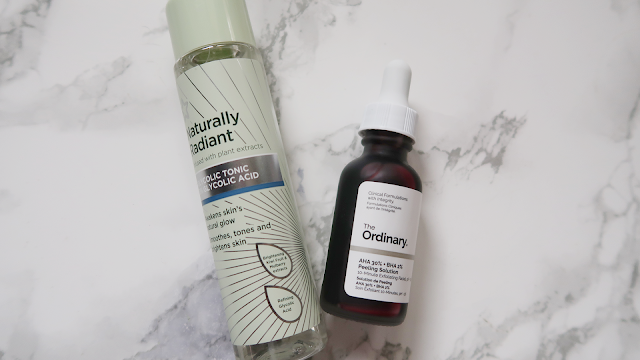 I've also been putting more effort into my skincare routine, and I've been using the Superdrug Naturally Radiant Glycolic Tonic. It's 5% Glycolic Acid, which is a great Alpha Hydroxy Acid that really helps improve your skin texture, scarring, fine lines and exfoliates. It's low strength, so you can you it's daily and I've found it works pretty well. If you'd like to know more about exfoliators and AHA's I have a blog post all about them, and how to choose the right one for your skin type. 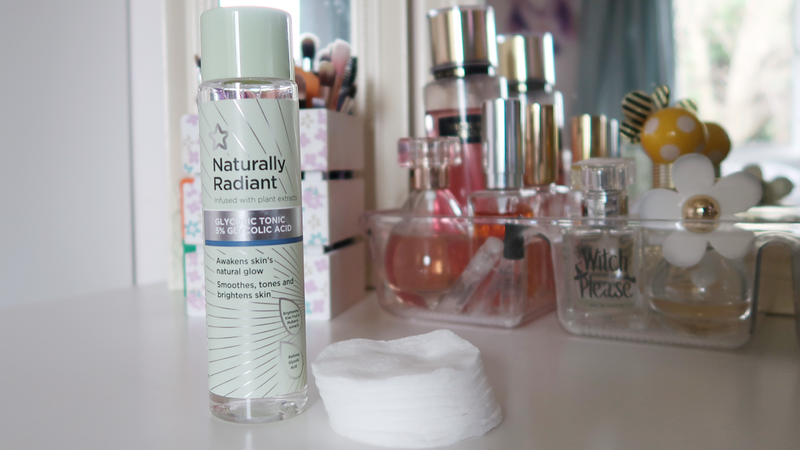 Exfoliators: Why, What and How?! 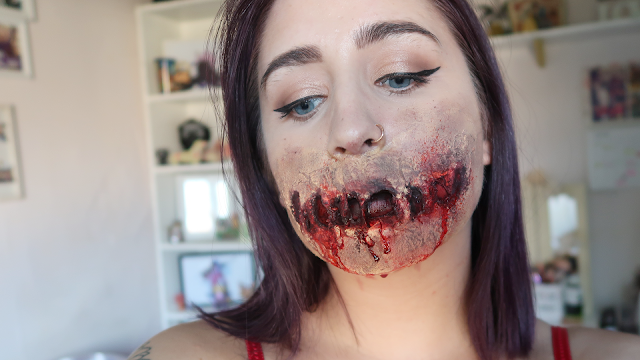 As we moved into Autumn, I started wearing darker, Autumnal lipsticks. I've been loving this Nyx Lip Lingerie liquid lipstick in the shade Exotic. It's a perfect deeper red, that almost looks like a more tinted red lip, perfect for the transition between seasons. It's long lasting, and non-drying too, just what I look for in a good liquid lipstick. I may have accidentally waxed off a chunk of my eyebrow while testing out my new wax pot, late at night when it was quite dark... Yep, very typical of me. I'm brilliant with other peoples eyebrows but mess up my own! So, as a result, I've been attempting to grow my eyebrows back. I had heard good things about using castor oil for hair growth, and I've been using this Etrong Organic, Cold Pressed Castor Oil. I have to say, after a month or so of using it, I've definitely noticed a difference. It's become part of my evening routine now, and I'll certainly be keeping it up. 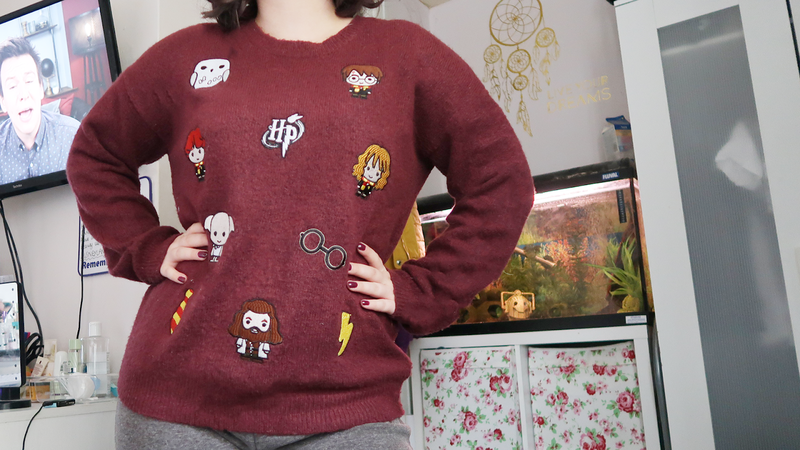 My only clothing favourite this month is this jumper from Primark, that has cute Harry Potter characters on it! It's adorable, comfortable and easy to throw on with a pair of leggings. I've been wearing it several times a week, I love it that much! This month, Eric and I binge watched Netflix and one of my favourite series we got through was Disenchantment. 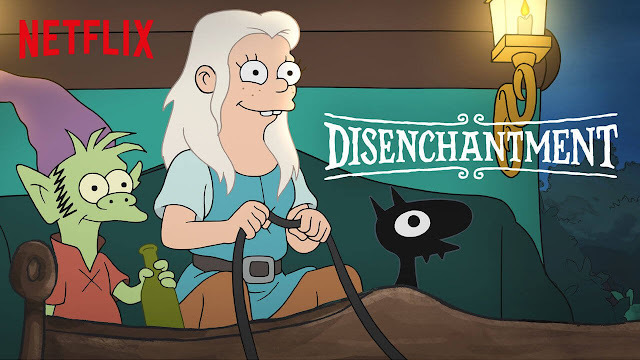 It's by the same people who did The Simpsons and Futurama, and it's very noticeable. I do find it far funnier though, with more crude humour, which is what I love about it. If you fancy a good laugh, give this series a try! Aaaaaand for my last favourite, but certainly not least. It has to be Shane Dawson and his docu-series on YouTube. Most recently his series on The Mind of Jake Paul, but I've also loved The Secret Life of Jeffree Star and The Truth About Tanacon. Shane is KILLING it with content on YouTube lately and I'm obsessed. He not only builds tension and anticipation for his videos, which no one else has been able to do with YouTube, but he has EVERYONE talking about it. 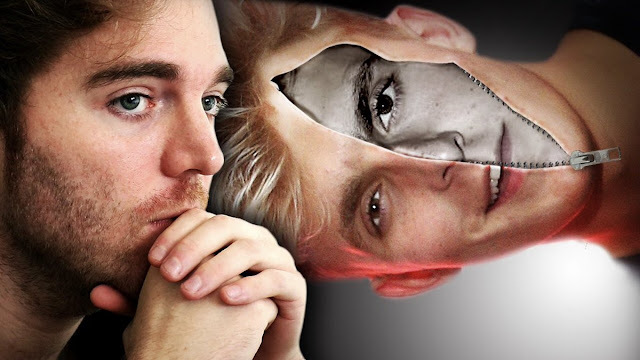 I'm glad Shane is getting the attention and love he deserves, and I can't wait for the rest of his series on Jake Paul in October. 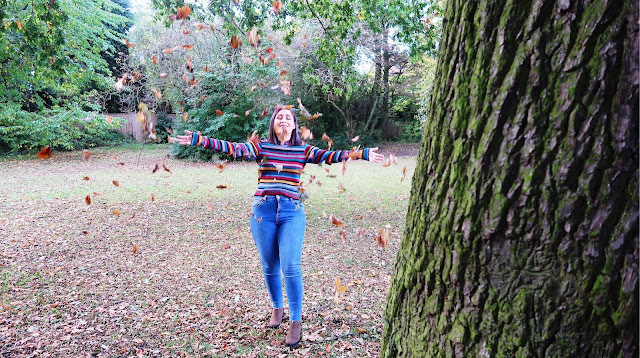 I'm excited for the rest of the year, October to December are my favourite months when it comes to activities and things to do (not so much the weather, yuk). 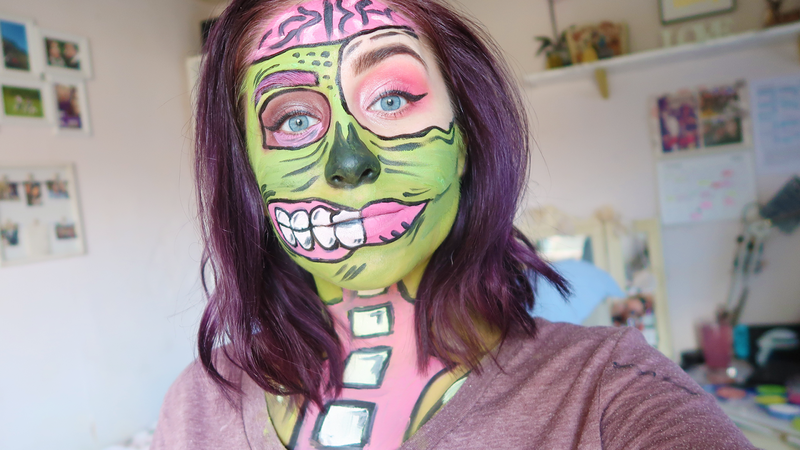 There's Halloween, pumpkin carving, bonfire night, Christmas lights, and all sorts! Here's to a fun-filled end of 2018! Exfoliation, lots of people do it, but do we really know why, and how to get the best results out of it? First, let’s talk about why we should exfoliate our skin in general. Over several weeks, the lower part of our skin moves up towards the surface. 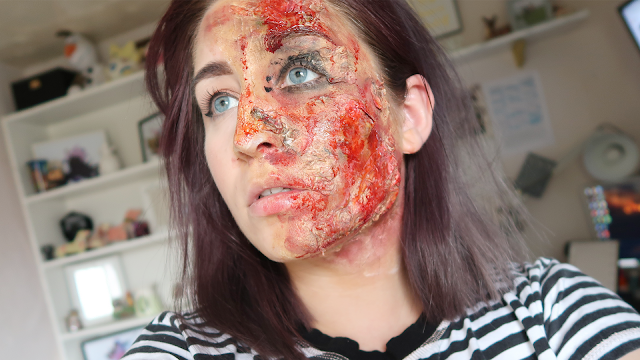 As the skin cells move up, they start to break down, and by the time they’ve reached the surface, they’re dead. 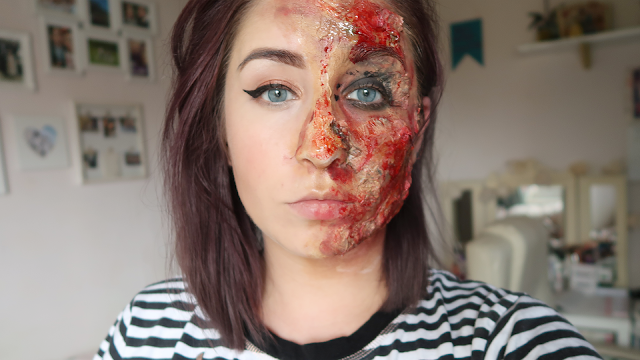 So, our top layer of skin is full of dead skin cells. They do shed naturally, but exfoliating helps to speed up this process and leaves your skin fresh and clean. Removing these dead skin cells improves the texture of your skin, as well as increasing cell rejuvenation and collagen production. This then improves fine lines, scarring, acne, and clogged pores. It also helps your skin to absorb products better; so, when you use moisturisers, serums and oils, your skin is going to benefit from them more. So, it’s very valuable to exfoliate regularly. There are two main types of exfoliants, chemical and physical. Physical exfoliators are your traditional “scrubs” that contain bits in them, such as sugars, granules, pips or seeds. Chemical exfoliators use acids and enzymes, typically Alpha Hydroxy Acids (AHA) and Beta Hydroxy Acids (BHA). Physical exfoliators are the most common types of exfoliators usually sold as face scrubs. They often contain sugars, seeds and granules and manually rub the surface of the skin to remove the dead skin cells. Microbead scrubs were once popular, however, are no longer recommended because the small plastic particles contaminate the ocean and are damaging to sea life and the environment. Sometimes physical exfoliators come in the form of face brushes, loofahs, and flannels as these manually rub the surface of the skin to remove dead cells too. Physical exfoliators are best for people with dry to normal skin. Dry skin tends to have a build-up of dry patches and these types of exfoliators are brilliant at removing these. If you have sensitive skin, it’s best to avoid physical exfoliators as they can cause microtears and they can be quite harsh on the skin. 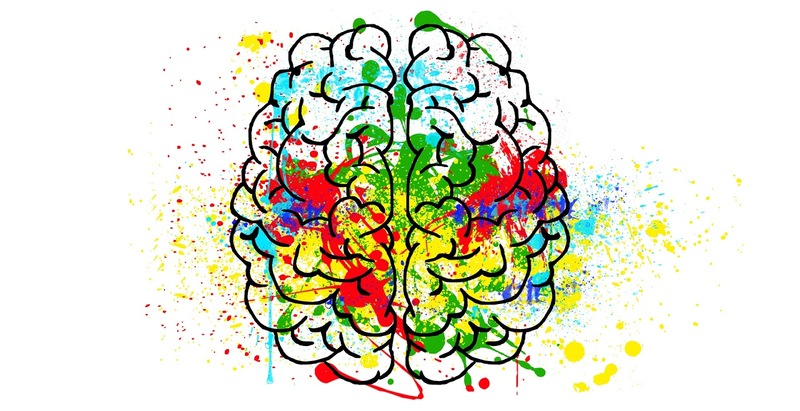 The word chemical can sound scary, but not all chemicals are bad for us. Chemical exfoliators come in two main forms, Alpha Hydroxy Acid (AHA) and Beta Hydroxy Acid (BHA). The exfoliators are usually very mild for use on the face and work by using acids or enzymes to break down and dissolve the dead skin cells. You don’t need to rub chemical exfoliators into the skin, they just need to be washed off. AHA’s or Alpha Hydroxy Acids are essentially hydrophilic (water-loving) and are naturally sourced. For example, Glycolic Acid is derived from sugar while Lactic Acid is derived from milk. AHA’s are great for most skin types but are particularly good for normal, combination and oily skin. When quite mild, they’re also better for people with more sensitive skin. AHA’s also boost collagen production so are fabulous for more mature skin. BHA’s or Beta Hydroxy Acids are essentially Salicylic Acid, which I’m sure a lot of people have heard of if they’ve had acne or pimples. BHA is fat soluble and so it’s brilliant for oily skin. 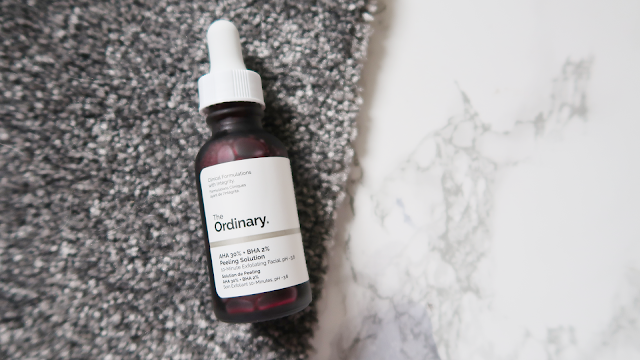 It’s almost the same as AHA’s in that it dissolves and removes dead skin cells, but it penetrates deeper into the skin and really help to unclog pores, and is commonly used to treat acne and blackheads. When it’s a stronger solution it can even be used to treat verrucas and warts! It’s recommended to exfoliate your skin at least once a week if you have oily skin, and twice a week if you have more dry skin. Exfoliating too often can cause an overproduction of oil in the sebaceous glands, so that can just clog your pores up even more and is counter-productive. So, it’s important to find the right balance. Sometimes there are even smaller quantities of AHA’s and BHA’s in facial tonics and toners, which can be used daily too. Since becoming a qualified beautician, I’ve found myself delving deeper and deeper into the science of skincare and how important it is, and I can’t help myself now. I will be posting more blogs on these types of topics as I love it so much, and they’re kind of educational! Some of you who follow me on social media might know that I’ve gone self-employed and started my own business. I’m now a mobile beautician and makeup artist for my company Becx Beauty. I trawled the internet for tips and tricks for what to do when first starting out, and I thought I’d put together my own tips, as well as information I found helpful or useful. The first thing I did, was write everything down that I could possibly think of. A lot of what I wrote down is in this blog. From the legalities to branding and prices. I wrote down all my ideas, costs, lists, websites and spent a few months looking into everything in depth. 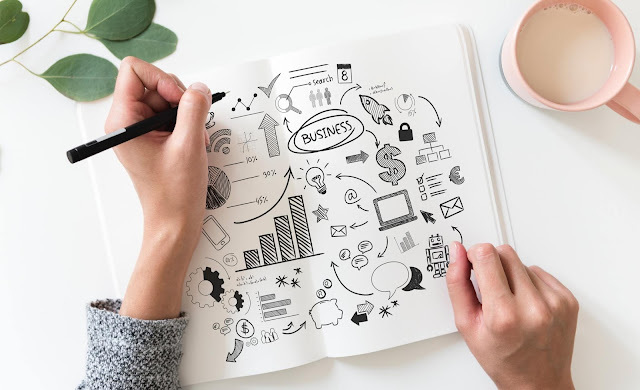 A business plan is probably the most important thing you can have before you decide to go self-employed. Before taking the leap, you need to make sure you can afford to do so. Pricing up everything you might need in your day to day work gives you a good idea on whether going self-employed is achievable. Some people take out a business loan to start up and get the things they need, while others use savings. I personally used savings to start up because then I didn’t need to worry about paying back a loan – but there are lots of affordable loans with a low-interest rate and low monthly pay-back costs. I made a large list of thing equipment and resources I needed and worked my way through it, keeping it all under my budget. I found looking into local businesses in the same industry as me helped a lot. Not only did I see the average price of services which helped me set my own prices, but I saw where services were lacking. Finding a gap in the market and something to make your business stand out as unique or different can really help boost your clientele at the beginning. In my case, it was that there aren’t an awful lot of beauticians and makeup artists that use only cruelty-free products that also have vegan options. Based off of the information I gathered so far, I was able to create my own list of services I want to offer, and how much I’ll be charging for them. I wanted to be affordable, but not undercut all the local businesses too much – that just undervalues what you can offer. Knowing how much the equipment and resources will cost, helps me to understand which services I can offer to start with, and perhaps look into branching out once my business is established. I’m lucky that my boyfriend is a dab hand at graphic design and branding with him being a digital marketer… so he helped me with the design of my logo and branding. But before I went to him for help, I had a mood board filled with colours, images, drawings and keywords, that I knew wanted to resemble my business. Get all your ideas down on paper, some people use brilliant online services to make logos (like Vista) or go to freelance graphic designers, or even do it themselves! You want a way for people to contact you for business, which is separate to your own personal contact details. I made a basic email with Outlook, and kept it simple and memorable, using the name of my business. Keeping everything separate makes it easier to manage, and really helps me a lot. There are lots of ways to create a website. The way I found the simplest and most effective was with Wix. I paid for a membership to link my own domain, which is far more professional. There are templates to use, and they’re fully customisable too. Another good aspect of wix is the SEO. The SEO section is very user-friendly and helps get your website into Google searches. One of the main things I did as I was setting everything up, was advertise my company. I set up all my social media and posted regularly on them. I had business cards and leaflets made with promotional offers and posted them locally, as well as leaving some in GP surgeries, dentists, hairdressers and gyms. I also posted promotional offers on my social media, to get more clients in. This all helped boost my business at the start. 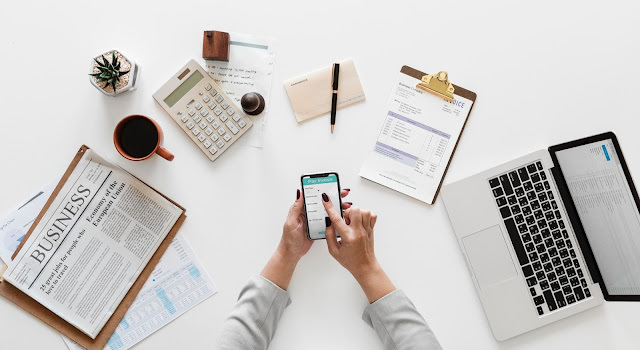 One bit of advice that popped up on a lot of articles, blogs and videos online, was to do your bookkeeping regularly. It’s easier to keep up-to-date when you do it often, such as monthly. I have a folder where I keep all of my receipts and invoices, all sorted into each month. There are lots of online book-keeping software, and I’m using Sage. Sage helps to record your invoices, expenses and cash flow in an easy to use way, and it’s only £5 a month. Probably the most important part when going self-employed, is to register with the Government. You can register easily online, and you need to declare your income and do annual tax returns. I haven’t done my first tax return yet. Once I do I think I’ll make a blog all about the process… but from what I’ve read and been told, it’s far easier than you expect. It seems like a lot to consider before going self-employed – and it is. But once you get the ball rolling it gets far easier, and much more exciting. Going self-employed has been one of the best decisions I’ve ever made. I am my own boss, and it feels amazing to take the reins on my own career this way. I hope this blog helps someone be able to take a hold of their own reins too! If you are self-employed and have any tips, please do leave them in the comments for people to see! Another month over, and we get closer to the end of Summer. August was a brilliant month for me - a lot happened. From getting my qualification to Eric's birthday bash and setting up my own company. While it's been super busy (sorry for the lack of blogs by the way), I still have some things on my favourites list! 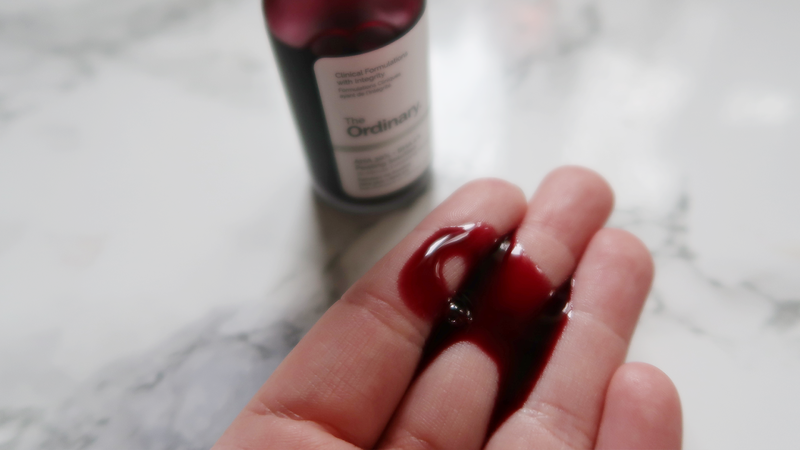 The first thing is The Ordinary Peeling Solution. This handy little thing is a chemical exfoliant which uses Alpha Hydroxy Acid and Beta Hydroxy Acid to remove the dead skin cells on your face. I personally prefer chemical exfoliants over the usual physical ones (which are the gritty type face scrubs). I started using this once a week, and then put it down to once every two weeks, and I love how my skin feels after I've used it. Since switching to being cruelty-free, I hadn't found a great haircare range other than Tesco's own until recently. 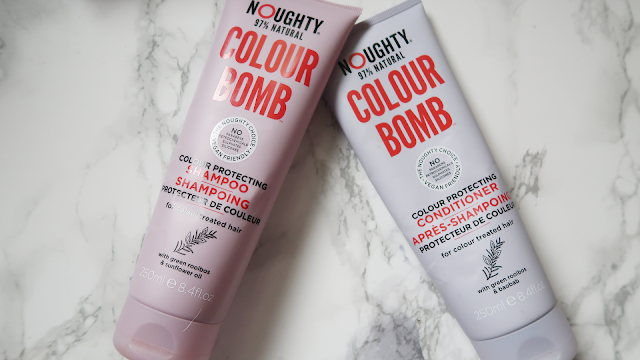 I started using the Noughty Colour Bomb Shampoo and Conditioner, and my gosh they are a godsend. The smell reminds me of refresher sweets, and they're 97% natural with no parabens, petrochemicals, sulphates or silicones. 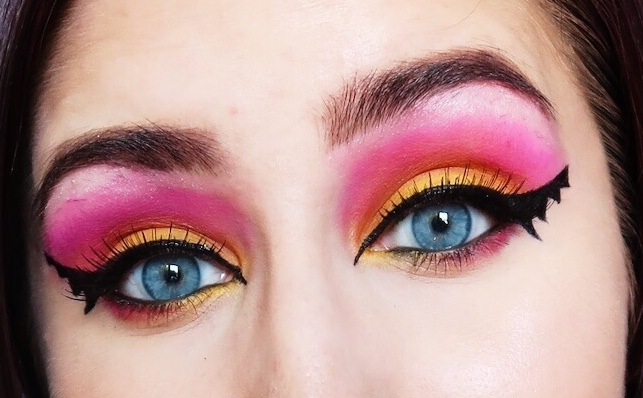 I definitely think I'll be using a lot more products from this brand. Since I started my own company this month, I've needed to get my arse into gear with regards to organisations. I bought this Leuchtturm 1917 Diary from Rymans when I was looking around at stationary and it's been a lifesaver. 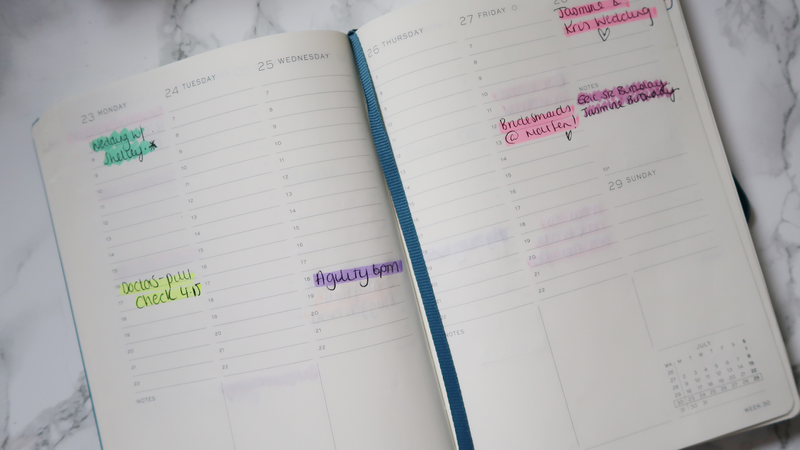 I hadn't realised Lechtturm was such a popular brand in the bullet journal crowd (yeah, I watch bullet journal videos on YouTube despite not having one! ), but I'm glad I obviously made a good choice. I don't have the time for bullet journaling, so a good quality diary is a must for me. It has a year overview at the beginning and a week by week view. I find it really handy for recording client appointments, as well as my own personal bits and pieces. If you haven't tried this brand for diaries and the likes, you really should! This leads on nicely to my next favourite. I STARTED A FREAKING BUSINESS. Yes, that's right... I'm a business owner. 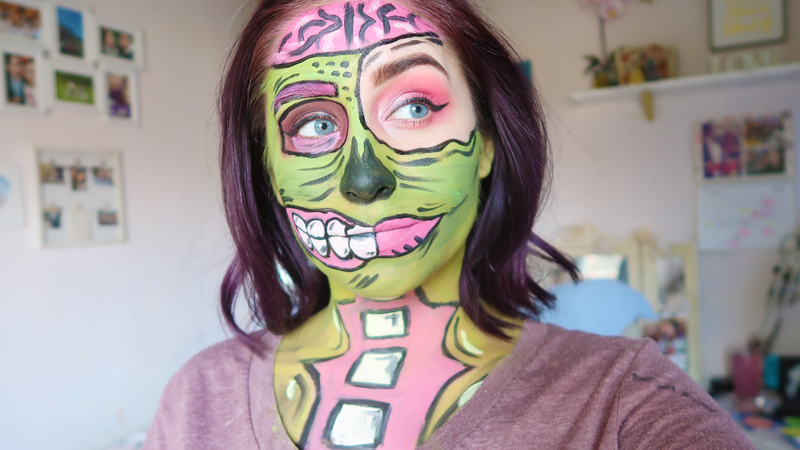 A self-employed beautician and makeup-artist. My company is called Becx Beauty. 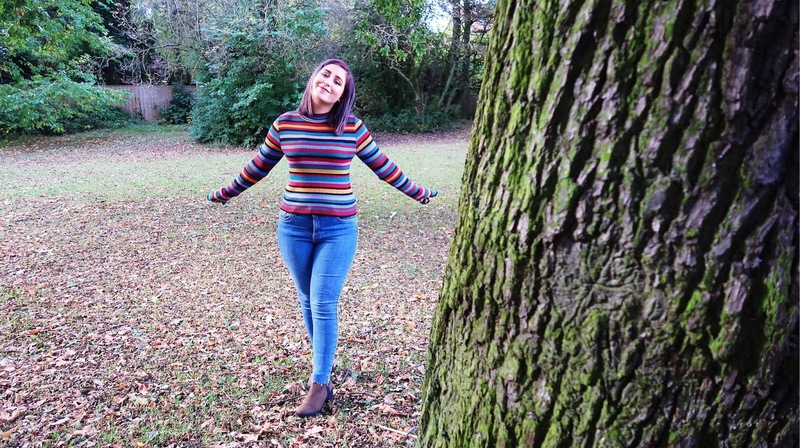 I've worked very hard to get to where I am today and I'm very proud of the things I've achieved over the last year, after being so poorly with my chronic illness. At 25 I went back to college to train in a new career path and then I took the plunge to start my own business and it feels amazing. I usually have some TV or film favourites but this month we haven't really watched an awful lot. 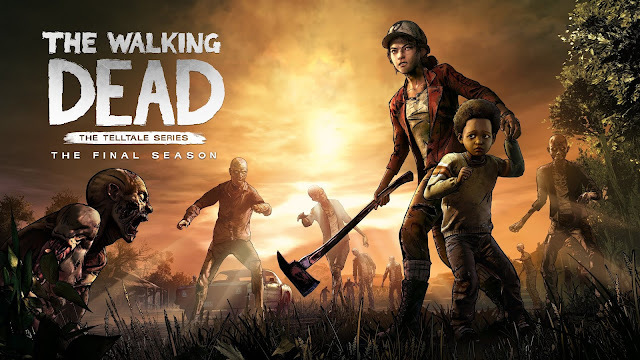 We did, however, binge watch all the seasons of The Walking Dead Telltale Series game on YouTube (played by Cryaotic). What an emotional rollercoaster. If you haven't seen the series, you really should watch it. I'm still not completely over the ending of season one... but I'm excited for the new episodes of Season 4 to come out! So, your dogs are pretty important to you, right? And you want what is best for them? Well the first place you can start providing the best for them is to address their diet, after all, diet is the foundation of health. 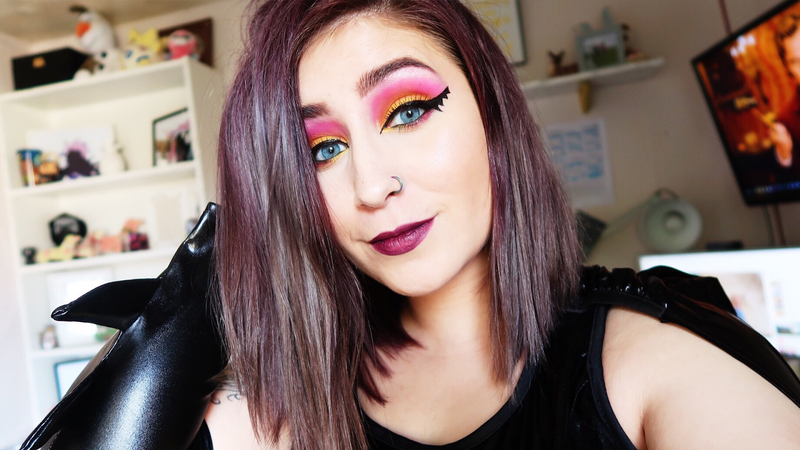 Before I begin on this post, I would just like to say that I am in no way paid or asked to promote any of the products mentioned in this blog, and have formed my own opinions on them. Any links to references, veterinary or nutritionist articles and scientific papers will be at the end. Also, please, do not take this blog offensively in any way. I understand how hard money can be for some people, and I completely understand that the 'higher quality' commercial foods are not affordable for some. And of course, dogs need to eat something! So what I always say is, if you CAN afford it, then always try to go for better. I'm just writing this so people can make informed choices, whatever they choose to feed their pets. Let's start with what dogs DO need. Dogs need a predominantly meat-based diet. Dogs are considered carnivores by genus but have been found to have opportunistic tendencies, meaning they may or may not scrounge for food to survive on in the wild. This does not mean that dogs are omnivores because they can 'survive' on scraps of food like some believe. They are carnivores, with opportunistic tendencies. This is because dogs do not produce a substantial amount the amylase enzyme to break down starches in carbohydrates nor do they produce enough of the cellulase enzyme to break down the cellulose in fruits and vegetables efficiently. They also have carnivorous teeth, a short digestive tract and an acidic stomach PH of 1-2 that all resemble that of their carnivorous ancestors. They are opportunists in that they can, if needed, 'survive' off a diet consisting of starches. So this means that dogs don't 'need' carbohydrates in their diet, it is not a dietary requirement. So when picking a commercial food, you want foods with a high meat content, and little if any carbohydrates. This particular blog is about picking a complete commercial dog food, either wet or dry. So let's look at the ingredients in them, in more depth. Meat, or protein, is THE most important thing a dog can eat, as it is the easiest digested source of nutrients, vitamins and minerals. Dogs, as a species, have evolved to eat meat and lots of it. The first ingredient in any dog food should be a named meat source like beef, chicken, lamb, or any other protein source you choose. I would always advise avoiding any dog food that does not name their meat source - if it says 'meat and animal derivatives', 'meat meal' and 'animal fats and oils' then stay clear. In my opinion, I want to know exactly what my dogs are eating. European Law deems that 'meat and animal derivatives' are "all the fleshy parts of slaughtered warm-blooded land animals, fresh or preserved by appropriate treatment, and all products and derivatives of the processing of the carcass or parts of the carcass of warm-blooded animals". Does that make any sense to you? The term is defined extremely vaguely, with no real idea of what your dog is actually eating! These meat and animal by-products are often the cheapest they could find at that time, and often change depending which animals are more available... and on top of that, the meat is generally 'cheap' for a reason. It is likely low in any nutrition and is certainly not chosen for their quality or ethics in how the animals lived previous to slaughter. Some manufacturers even use this term simply because the meat protein names might put some customers off buying the product, which doesn't sound like it would be a good protein source, does it? Dog food may contain more than one protein source. More commonly seen, is a mixture of a meat source and a fish source, which is great as long as they are both named. Fish like salmon, trout and other oily fish are great, as they contain amino acids and other goodies for a dogs skin, coat and joint health. Containing more than one protein source is great if your dog does not have an intolerance to what may be within that food. Sadly, because meat is so expensive in this day and age, many of the cheaper manufacturers will substitute meat sources with other protein sources. Let's not confuse meat with protein! So some dog foods contain high amounts of soya, maize and potato as protein sources, to make up for lacking in meat protein. 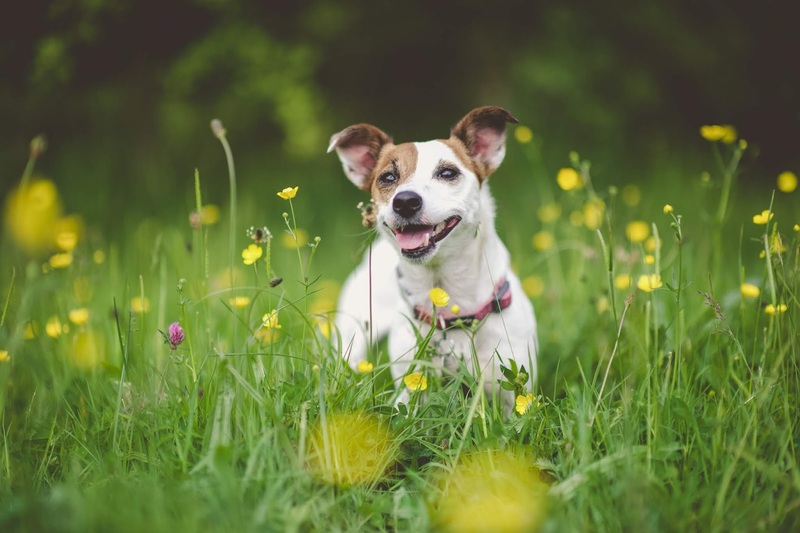 The problem with this is that dogs cannot digest these easily, meaning a higher chance of dietary intolerance, and putting extra strain on their digestive system. So, when picking a dog food, make sure the ingredients state a named meat source, which is a large proportion of the diet. For example, I've listed the ingredients in two different dog foods below, one is high quality, the other is low quality... which would you pick? "Chicken 19%, Chicken 18% (from Dried Chicken), Salmon 15%, Herring 12.5% (from Dried Herring), Potato 12%, Chicken Fat 4.5%, Duck 4% (from Dried Duck), Sweet Potato 3.5%, Whole Egg 2.5% (from Dried Egg), Chicken Liver 2.5%, White Fish 2%, Pea Fibre 2%, Lucerne, Chickpea, Minerals & Vitamins, Carrot, Spinach, Apple, Rosehips, Chamomile, Burdock Root, Seaweed, Cranberry, Aniseed & Fenugreek, Fructooligosaccharides (461 mg/kg), Glucosamine (341mg/Kg), MSM (341mg/Kg), Chondroitin (240mg/Kg), Thyme, Marjoram, Oregano, Parsley, Sage." Or "Cereals, Meat and Animal Derivatives (including 4% Chicken), Oils and Fats (including 0.2% Fish Oil, 0.2% Sunflower Oil), Derivatives of Vegetable Origin (including 2% Dried Beet Pulp), Minerals (including 0.7% Sodium Tripolyphosphate), Antioxidants, Preservatives"
I have highlighted the bad ingredients you need to avoid. The sad thing is, the second list of ingredients, is a major pet food company sold in the UK (of which I will not name), yet so many people do not realise how poor the food actually is. In my opinion, any decent dry or wet dog food is completely grain free. But do not fall into the trap of grain free meaning it does not contain any carbohydrates, grain free does not mean carbohydrate free. 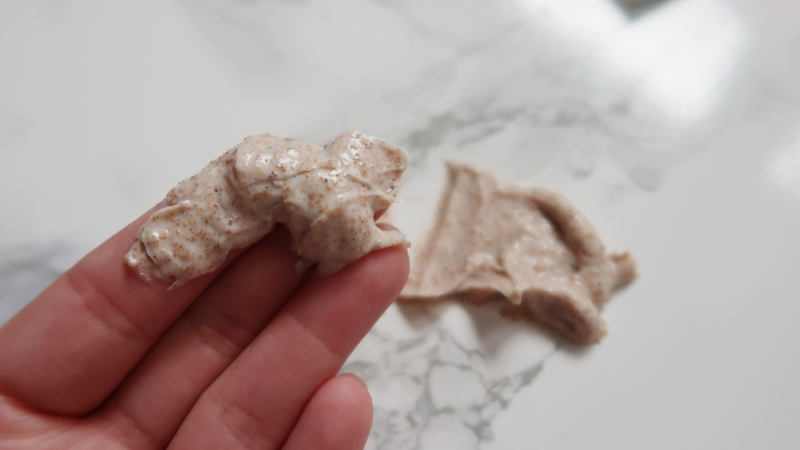 In particular with dry foods - they all need some form of 'starch' to act as a glue to hold the little bit of kibble together, and to hold it's shape. This means even the highest quality of dry food contains some form of starch. It's unavoidable, so this is something to take into account when decided between wet foods and dry. That is one of the reasons I would personally choose a high-quality wet food over a high-quality dry food, though some may have other factors to take into account (shelf life, storage, packaging etc). Another reason I would personally pick a wet food over a dry food is the moisture content. Dry foods are very low in moisture, and can 'swell' in the stomach, increasing the risk of bloat. Some lower the risk by soaking dry food before feeding it, some lower it by not feeding dry foods at all. The main issue I have with carbohydrates in a dogs diet is their capability of digesting them. As I said above, dogs lack the necessary amount of the amylase enzyme to efficiently digest them and gain anything from them. While dogs may live a perfectly healthy, and long life on a carbohydrate-based diet, there are some that don't. 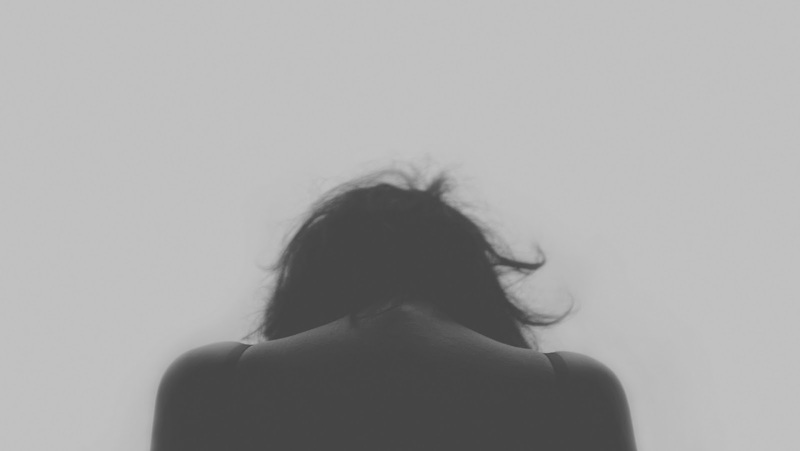 Some do not cope, whether it be shown through allergies and dietary intolerance's, digestive issues like Irritable Bowel Syndrome, Inflammatory Bowel Disease and other gastric problems, or through something more severe like liver disease. 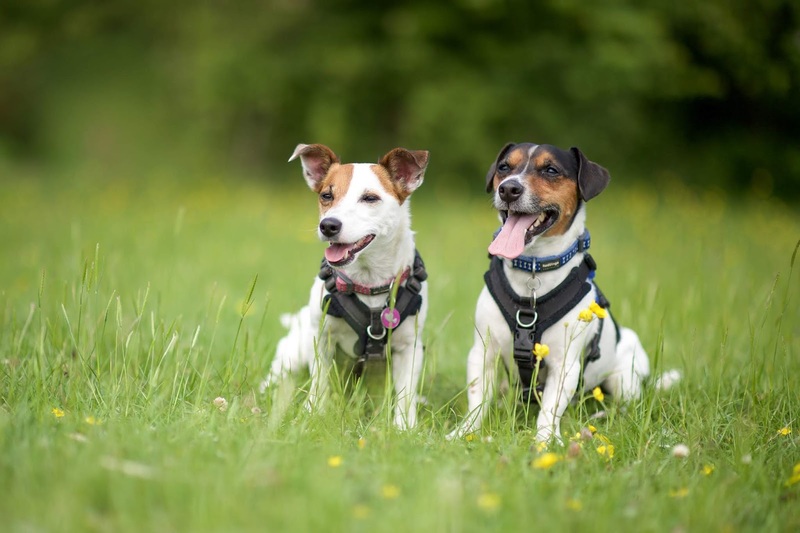 If dogs show any kind of 'issue', the diet should always be considered as a factor, even if it may not be the cause at all, just to rule it out. In this section, I will list the worst additives that can be in a dog food, and why it is something that should be avoided. The first one is artificial colourings. Even in the 1950's artificial colourings have been linked to behaviour issues in children, and this can be the same for dogs too. Ever asked that hyper dog's owner down the street what they feed their dog? 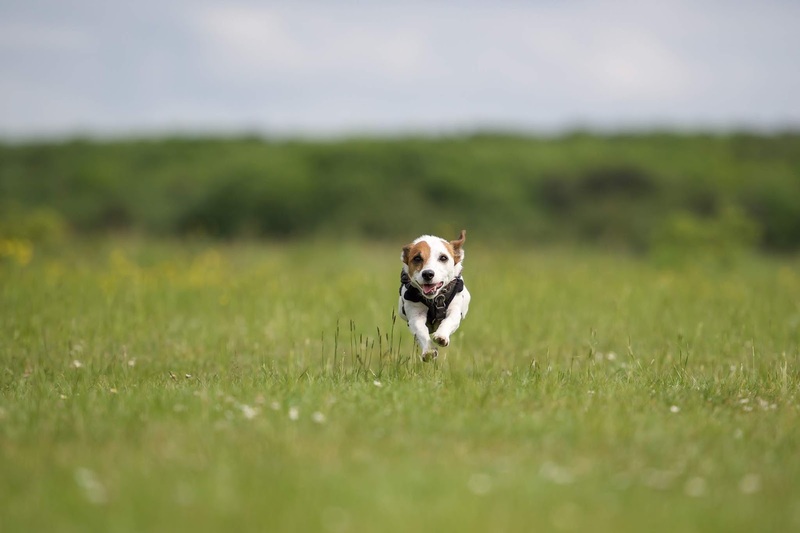 A hyperactive dog means a dog that has a shorter attention span, is harder to train, harder to handle and just generally a bit of a 'nuisance'. Many people have seen a considerable difference in their dogs' behaviour once change to a higher quality food (including my own dog). So, if a dog food says 'colourings', 'e numbers', 'sunset yellow', 'tartrazine', 'ponceau 4r', or 'titanium dioxide'... avoid! I'm pretty sure a dog doesn't care what colour their food is, as long as it tastes good. Another ingredient to avoid like the plague is Propylene Glycol. This ingredient is hands down the worst ingredient in any pet food, despite that it is approved for use in pet foods. It is most commonly found in 'semi-moist' foods. This ingredient is basically a 'cousin' to Ethylene Glycol... which is antifreeze! Moving on from commercial foods, you could always feed a fresh food diet, which is nutritionally going to be the best, but that's for a whole other post! 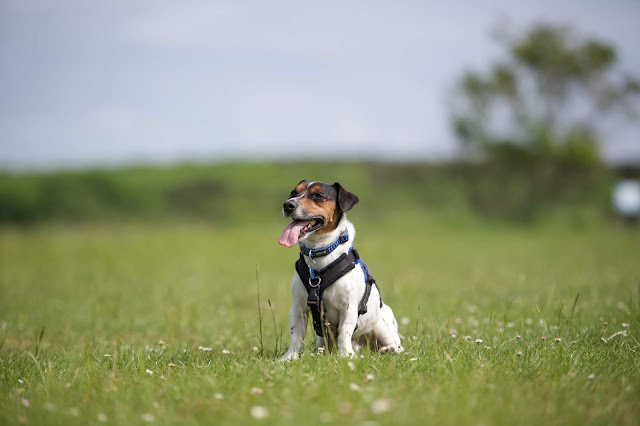 I hope this blog post has been useful to anyone that needed help with picking a decent commercial food for their dog. Again, I want to stress that I am in no way paid/sponsored to name any of the products in this blog and that I am in no way claiming to be a professional on this. This blog is formed from my own reading a research. Grain Free Dog Foods: Solving Yeast and Skin Issues, by Dogs Naturally Magazine. The Truth About Dog Food and Supplements, by Dana Scott, Dogs Naturally Magazine. Dog Food: Ten Scary Truths, by Jan Rasmusen, Dogs Naturally Magazine. What is in Your Dogs Food? by Dogs Naturally Magazine. Why Most Manufactured Foods Should Not be Fed to Cats and Dogs, by Dr Michael Fox DVM, Dogs Naturally Magazine. How to Select Top Quality Canned Dog Foods, by Nancy Kerns, Whole Dog Journal. 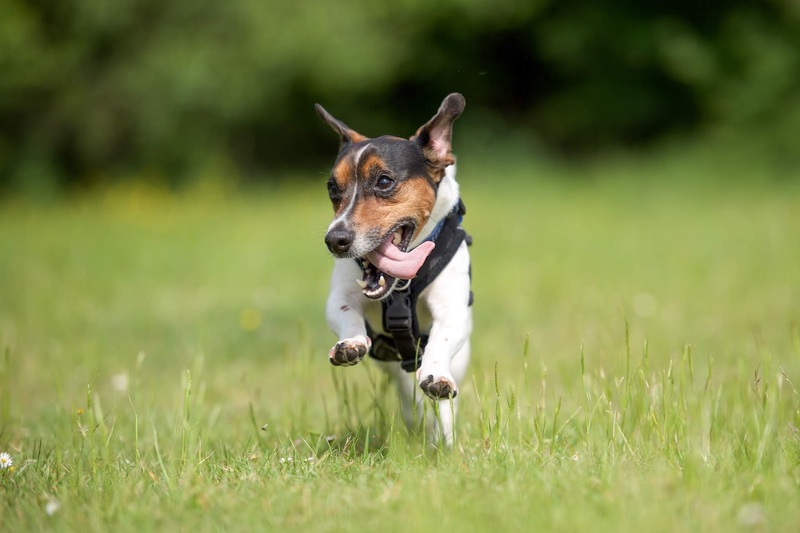 Pet Food Research, by Fiona McCann, Canine Health Concern. Ingredients Glossary, by All About Dog Food. Dog Feeding Guide, by All About Dog Food. The Ingredients List - Seeing Through the Smoke and Mirrors, by David Jackson, All About Dog Food. Dry Dog Food: The Cost of Convenience, by David Jackson, All About Dog Food.